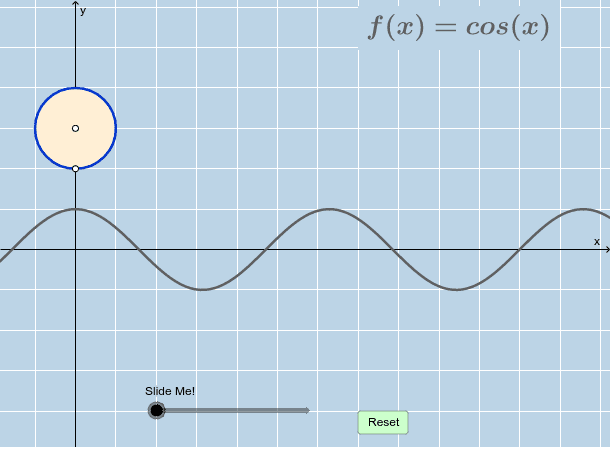 Sine & Cosine Period Action (1)! 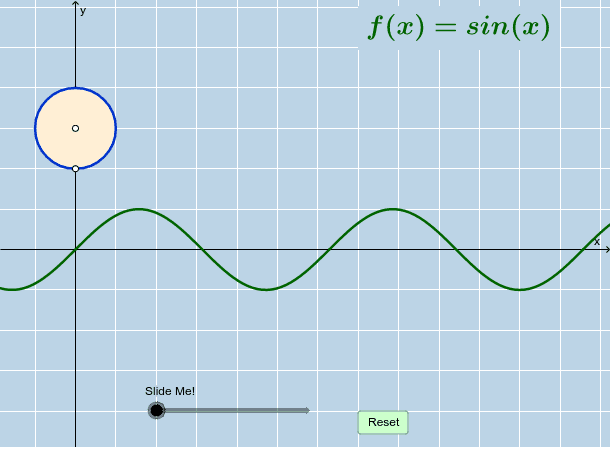 Recall we've just learned that the sine and cosine functions are said to be periodic functions. Interact with the applets below for a few minutes. Without looking these values up on another tab in your internet browser, use the phenomena you observe to determine the exact value of the period of each parent function.